This test detects the single basepair insertion in the SERPINB11 gene. → Detachment of the Hoof and Hoofwall. The first symptoms are commonly noticed within the first year. As the hoofwall separates from the hoof, the horse can become lame. 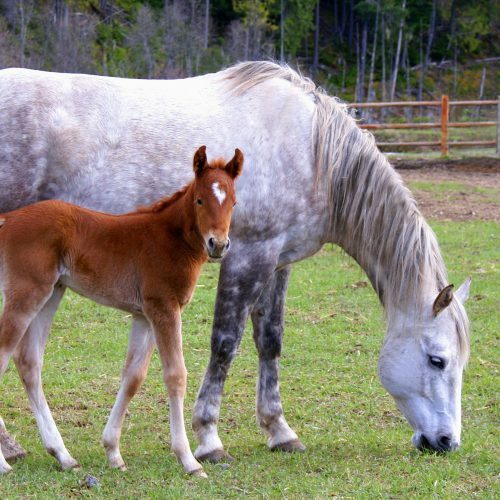 Although some affected horses have minimal symptoms, the worst cases can require euthanasia because of severe pain. 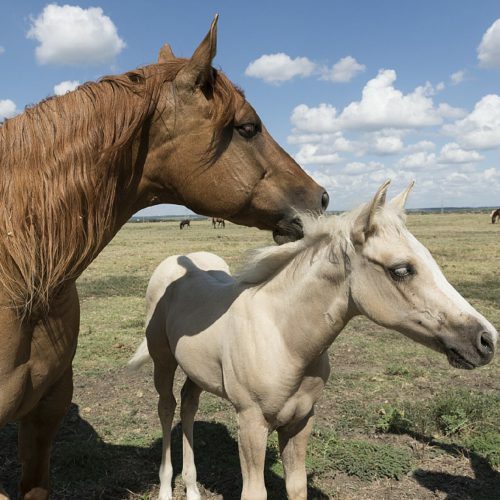 → HWSD is an autosomal recessive hereditary disease, meaning that horses with only one copy of the genetic variant (N/hwsd) are clinically normal carriers while horses with two copies of the genetic variant (hwsd/hwsd) are affected. N/N normal. 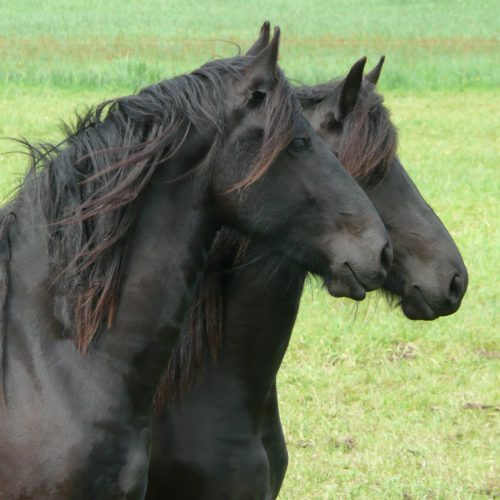 The horse does not have any copies of the genetic variant causative for HWSD and therefore cannot pass it on to any offspring. N/hwsd a carrier. The horse is clinically normal. The genetic variant causative for HWSD will be passed on to its offspring with a probability of 50%. hwsd/hwsd affected. The genetic variant causative for HWSD will be passed on to all offspring. All offspring will be carriers (N/hwsd). Carriers may be bred to normal animals (N/hwsd x N/N) without any risk of producing affected offspring. The offspring should also be tested before breeding to determine if they are carriers or normal. Breeding two carriers (N/hwsd x N/hwsd) is not recommended due to the possibility of 25% of the offspring being affected. Affected animals (hwsd/hwsd) may only be paired with non-carriers (N/N) following a critical review of the breeding value of the animal. Further Information is available on the OMIA website: Online Mendelian Inheritance in Animals.